Epworth Swimming Pool was opened in June 1996 and provides a valuable service to the local community – This 20m x 8m pool provides Public swimming, 50 plus, Adults only, and Parents and Toddler classes. 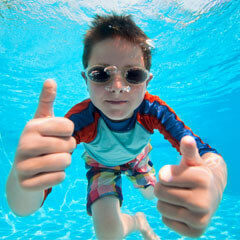 Swimming Lessons have proved to be hugely popular with over 300 children in lessons and the swimming club every week. Swimming Lessons are not just for children, Adults are catered for as well, so it’s never too late to learn. There are a selection of exercise classes available from beginners through to advanced, including Aqua Fit and Aqua Tone, all taught by qualified and enthusiastic instructors. An estimated population of 20,000 people has been identified living within a 10 mile radius of the pool and with approximately 60,000 visits per year it is an extremely well used facility, we even have an ex Olympic swimmer using the facility! Epworth Swimming Pool also runs an extremely successful swimming club which is called ‘South Axholme Sharks Swimming Club’.